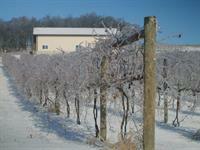 Madison County Winery is a native Iowa winery with the vineyard located in Madison County just west of the town of St. Charles on County Road G50. The vineyard was planted in 2001 with the following grape varietals: Steuben, Marechal Foch, and Vignoles. Our lovely, cozy outdoor patio features cushioned seating for 60+, umbrella covered tables, a firepit with adirondack chairs, and patio heaters for cool weather. 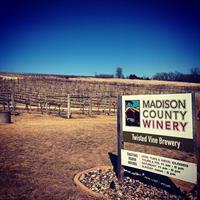 Madison County Winery is also Iowa's first winery to feature an on-premise brewery. Twisted Vine Brewery makes craft beers on site and is available for sampling and purchasing.